When people picture collegiate walk-on athletes, they typically recall, “Rudy” Ruettiger, the diminutive defensive end who walked onto Notre Dame’s football team in 1974 and inspired the 1993 hit-movie Rudy. 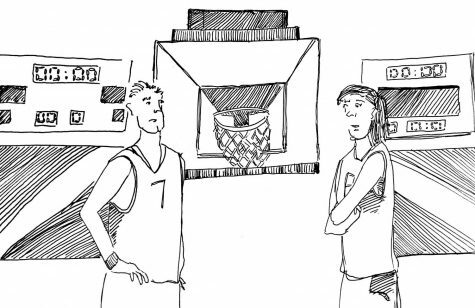 However, there are student athletes on most college campuses that share similar stories of overcoming seemingly insurmountable odds. Many walk-ons, like Rudy, are the “unsung heroes” of their team — players who leave it all on the line in practice but rarely warrant game time. Beginning from the start of their first year, all Division 1 athletes, except walk-ons, receive either an athletic or academic scholarship. However, some programs award scholarships to walk-ons based on performance in subsequent years. 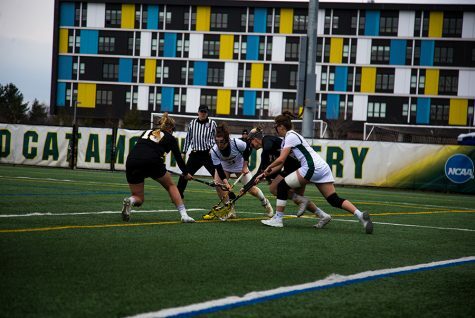 Despite all the attention in recruiting, one athlete who effectively “slipped through the cracks” is senior Gideon Rosenthal, who plays D1 soccer at the University of Vermont. The Bronx native says he always dreamed of playing at the collegiate level, but as an undersized 5-foot-7 defender, he faced a significant disadvantage. Although Division 1 coaches didn’t actively recruit Rosenthal, he sent highlight videos to D1 and D3 programs, including Kenyon College and American University. He did in fact receive athletic offers from both schools, but could not accept them due to academics. 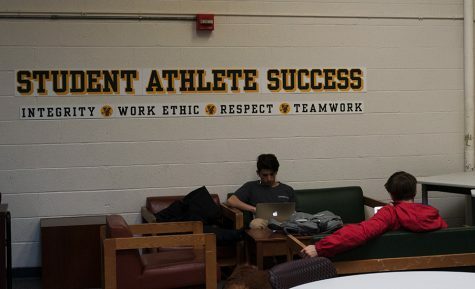 After getting into UVM, he approached the Vermont soccer coach on accepted student day — a day where prospective students visit campus prior to making their decision where to attend — and was invited to an informal tryout at a UVM hosted camp for high school players in mid-July. Recognizing he didn’t have a guaranteed spot on the roster, the senior says he decided to go to UVM anyway because he believed there was a legitimate chance he could make the varsity team. Rosenthal spent the remainder of the summer rigorously training six days a week in New York City. 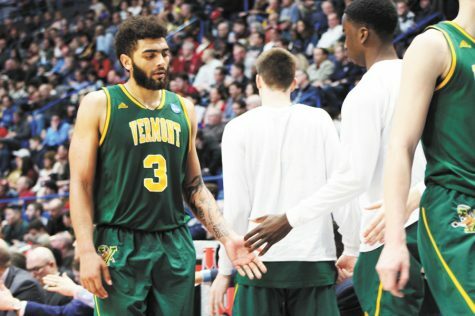 Despite not being recruited by Vermont, a former coach of Rosenthal’s reached out to UVM’s varsity coach coach and advocated for the defender from New York City. 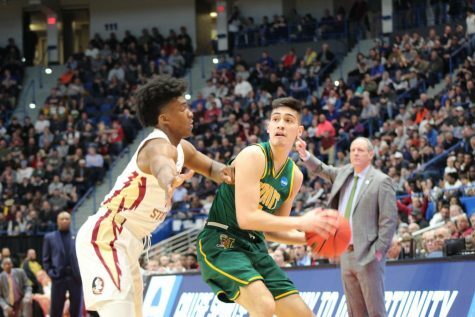 After being evaluated by Vermont coaches at the camp for almost a week, they informed Rosenthal that they needed more time to decide whether he would be invited to preseason. “Immediately when I heard (I may not be invited to preseason) I questioned whether it was the right call going to UVM,” says Rosenthal, who says he always anticipated playing D1 soccer. 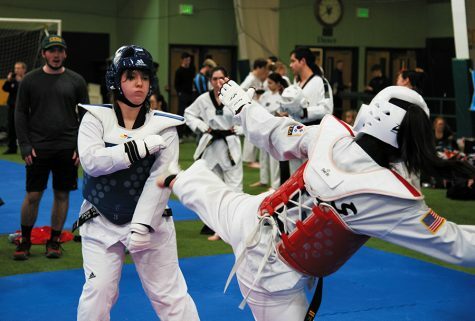 In August, just before preseason was set to begin, he received a disappointing call from the head soccer coach. 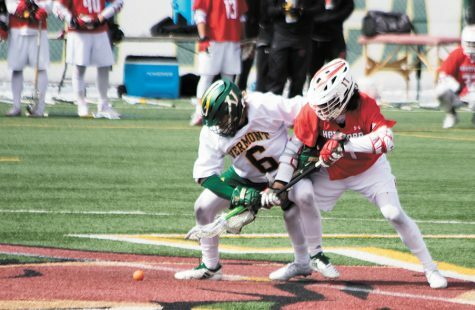 After being told he was undersized in comparison to other UVM defenders at the time, the Vermont coach told Rosenthal to play for the club team in the fall and then come back and tryout for the varsity team in the winter for the spring semester. “I went to college expecting to play soccer, but the club team wasn’t exactly what I had in mind,” he explains. 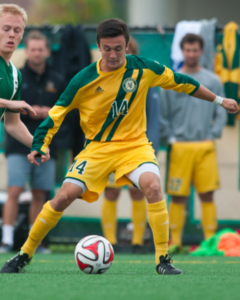 Coping with the disappointment, Rosenthal did not give up on his dream of playing D1 soccer. 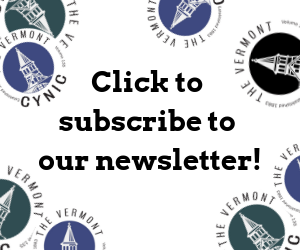 After spending a season with the club soccer team at Vermont and training on his own, he returned in the spring and spent the semester practicing with the varsity team. Rosenthal says he performed well in spring training, which earned him an official invite to preseason. The combination of timing, diligence and perseverance allowed the undersized defender to transcend to the D1 level. The senior finished his college career as a scholarship player and contributed to his teams’ conference championship run. While Rosenthal is an example of an athlete who did everything in his power to catch the attention of D1 coaches, many walk-ons are coveted recruits who elect to play for a program without any guarantee of an athletic scholarship.